Novelist Jonathan Franzen Author Jonathan Franzen joins Fresh Air to discuss his critically acclaimed and award-winning novel, The Corrections. It is a saga about two generations of an American family; the parents and their children. 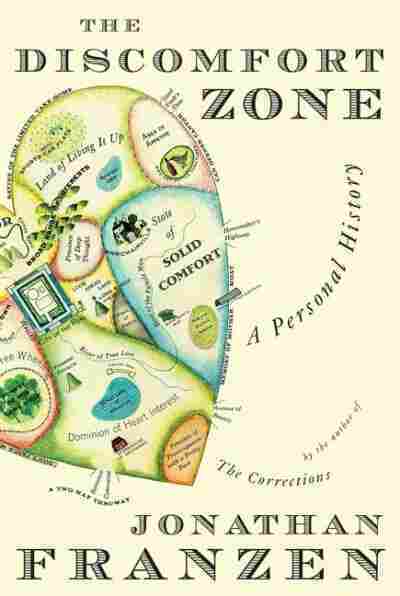 Author Jonathan Franzen joins Fresh Air to discuss his latest novel, The Corrections. The story revolves around the lives of three children who live far away from their aging parents. The parents' health problems have made it difficult for them to take care of themselves. The children then have to decide how willing they are to change their own lives to care for their parents. The novel is also a satire about family dysfunction, work and post modernism. On the role of an author, particularly in the post-September 11 environment, Franzen said a writer must remind the public of the good times and the bad. "In a larger sense," he says, "if you're talking about what the fiction writer's responsibilities might be...remind people of darkness; remind yourself of darkness; remind yourself that there's a world out there that is unhappy; remind yourself that death exists. And then, in dark times, try to remember the comedy and the ridiculousness of things." Even in the serious, sometimes uncertain, environment stemming from the tragedies in New York, Washington, D.C. and Pennsylvania, Franzen says fiction remains an important part of society. Novels matter. "I do feel as if the way (a novel is) read, inevitably changes when the tenor of the times change," he says. "It's of some satisfaction to me that people still seem to find something in it, even though the tenor of the times more or less flipped over night. We had been drifting towards a recession, but it was still basically a blissful, isolated time for us all here in the country and now we're in a very different place." He says that an author's chosen role is important in this "different place." "That goes back to my remark about what my chosen responsibility as a writer is, which is to create stuff that if you're reading it when things are good in your life, provide some company for you in contemplating the fact that things won't always be good. But also, if you're reading it at a bad time in your life, to kind of lend a helping hand there too, and show that well, even when things are bad, things can be awfully funny or full of meaning, and evidently this particular book has managed to bridge those two sides of September 11." The Corrections was chosen by Oprah for her national book club. Franzen was surprised by this. "It was so unexpected that I was almost not surprised...because it literally had never once crossed my mind that this might be an Oprah pick, partly because she seldom chooses hardcovers, partly because she does choose a lot of female authors, and partly because as the reviewer in the New York Times said, this is too edgy to ever be an Oprah pick." 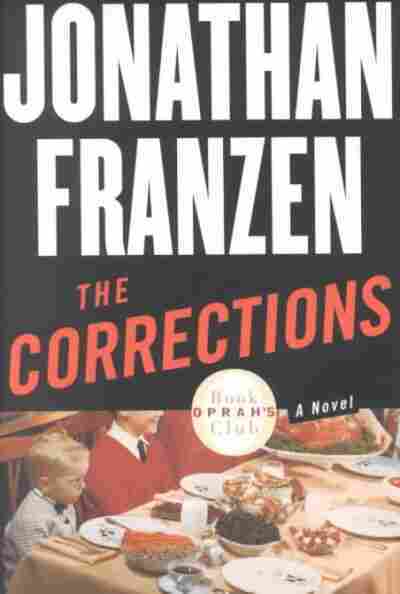 While the publicity gained through Oprah's book club certainly helped The Corrections readership, it was also a source of some anxiety for Franzen. "So much of reading is sustained in this country, I think, by the fact that women read while men are off golfing or watching football on TV or playing with their flight simulator...I continue to believe that, and now, I'm actually at the point with this book that I worry...I had some hope of actually reaching a male audience, and I've heard more than one reader in signing lines now in book stores that said, "If I hadn't heard you, I would have been put off by the fact that it is an Oprah pick. I figure those books are for women and I would never touch it." Those are male readers speaking. So, I'm a little confused about the whole thing now." The Corrections is in part about the moment in an adult's life when they see their parents needing help and care as opposed to giving it. Franzen said he focused on that transition, in part, because of his own experiences. "I seem to have grown into a time and a place where adults didn't really want to be adults in the same way I understood them to be," he says, "which was well-mannered people who dressed differently than children and...put their children's interests before their own, and all around, just were of a different class. They liked being adults. They got a satisfaction from that. "Ever since the boomer generation faced the problem of adulthood, with kind of dubious results, and since so much of commercial culture has come to focus on the 18 to 34 demographic, its seems as if adulthood itself is to some a threatened commodity. And yet, there is this feeling in the back of one's head that, "Well, there are those parents, and I get to be a child even up into my 40s, 50s and 60s, because those parents are there." And that seemed to me an interesting question to look at. What happens when you do finally lose those parents, and you're next in line?" In many of Franzen's books, characters' identities are frequently changing. He says his own identity is the source of this. "I think it comes from the essential blurriness of my own nature," he says. 'I don't seem to be able to be the same person on any two consecutive days...I feel like at once a 12-year-old boy and a 78-year-old man, and a 42-year-old man and 32-year-old woman. It grows out of my own sense of having a multitude of voices in myself and being unwilling, or perhaps unable, to settle on any single one of them."